When you are gone for an extended period of time and would like a daily physical inspection of your property, use the House Check Form below to provide us with needed information for our inspection. 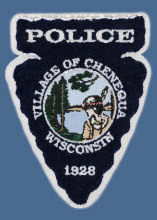 If you unable to fill in the house check form online, feel free to call the Non Emergency Chenequa Police Department at (262) 367-6350. © 2015. Village of Chenequa. All rights reserved.